Save print preferences for future use. Pity the poor macOS Print dialog: it’s been around so long, and we don’t really look at it much. This is likely why Mac 911 receives regular (though not constant) questions about print settings. 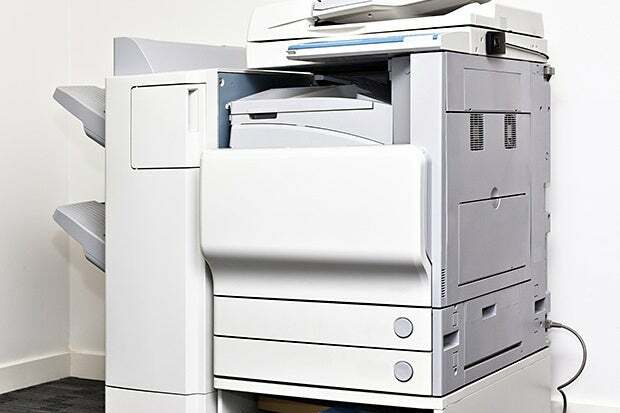 The Print dialog not just reflects Apple’s own notion of how printing should work, it also includes functionality from third-party print drivers, the software that tells macOS all of the parameters and special settings of particular output devices. A recent question arose from a Macworld reader who, after upgrading to macOS 10.13 High Sierra, had their usually persistent print preferences change after each printing session. This was new for them, but you can generally avoid this by creating a preset. 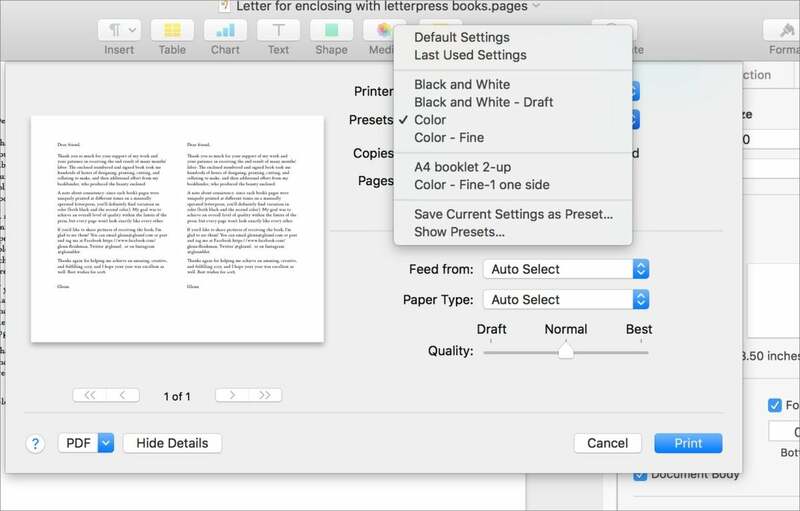 Set all the parameters you want for a printer, such as color, two-sided (if an option), Apple’s four sections (Media & Quality, Layout, Paper Handling, and Cover Page). You should also be able to set any printer-specific options that appear. From the Presets menu, select Save Current Settings as Preset. Choose a name and, if available, pick between Only This Printer and All Printers. The Print Presets menu is an often overlooked way to keep your print settings organized and set defaults. The reader’s problem could have arisen from new default settings created in High Sierra coupled with a hidden setting in the Presets menu. After selecting Show Presets from the Presets menu, see if the Reset Presets Menu to “Default Settings” After Printing is checked. If it is, you can uncheck that box, and the last preset you used remain in place. If Default Settings appears when you bring up the Print dialog, you can select Last Settings Used from the Presets menu to revert to those previous settings, too. You can also review all the settings associated with each preset, including defaults, by selecting Show Presets from the Presets menu and then selecting presets at left and clicking expansion triangles in the associated categories at right. To reduce toner and ink, I have presets that rely on draft, black and white, and two-sided as available on my printers. I switch those to other presets or manually choose settings for higher-quality output as required.